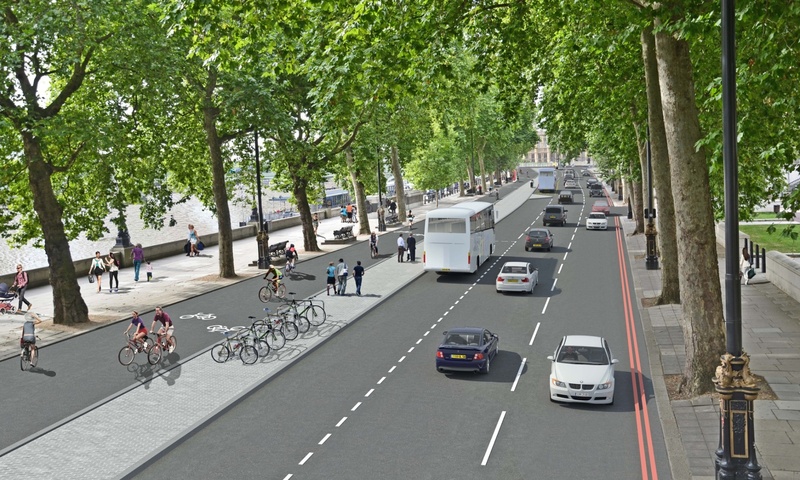 London expected to break ground on massive "cycle superhighway" - Archpaper.com London expected to break ground on massive "cycle superhighway"
London is ready to one-up its bike-friendly European neighbors by building the longest, continuous protected cycleway on the continent. 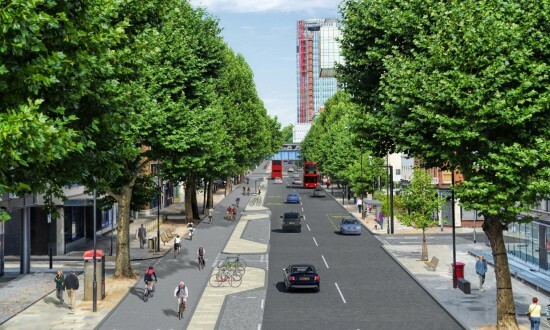 Mayor Boris Johnson has been emphatically endorsing the plan that would create two “superhighways” of bi-directional, curb protected bike lanes. 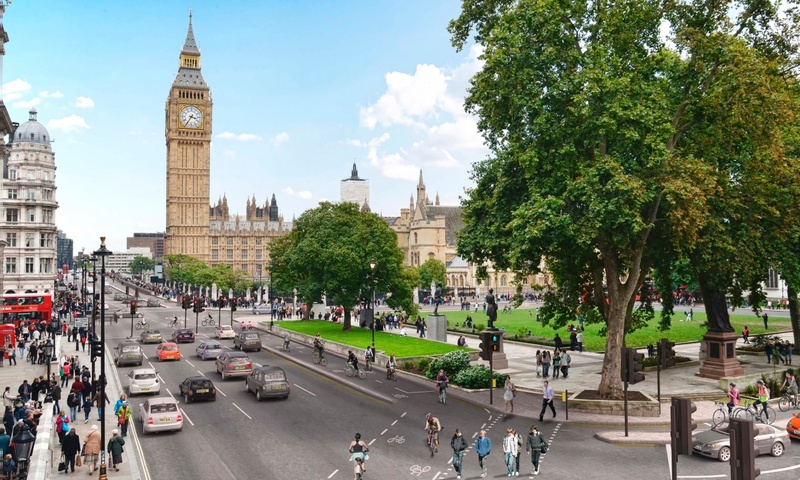 The longer of the two paths would run 18 miles, past some of London’s most iconic sites.